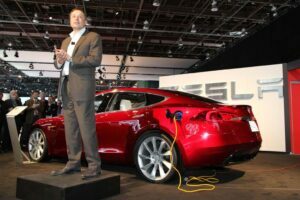 Panasonic Becomes a Major Tesla Shareholder - AutoNetTV Media, Inc.
Panasonic is now the third largest shareholder in electric carmaker Tesla Motors. The move signals a new direction in battery technology for Tesla. Check out this info on preparing for those holiday road trips.